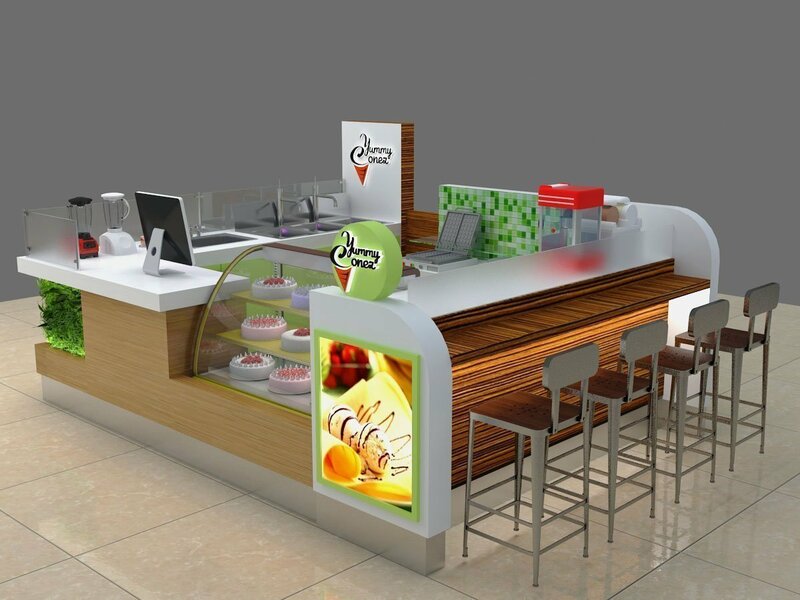 Bubble tea kiosk manufacturer newly designed mall used beverage kiosk for sale. 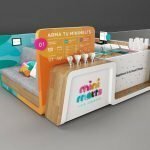 This is a very nice bubble tea kiosk design , Because most of the beverage kiosk are share the same character ,So this kiosk design can also used to juice bar or tea service. The size of this kiosk is 4*3 meter . 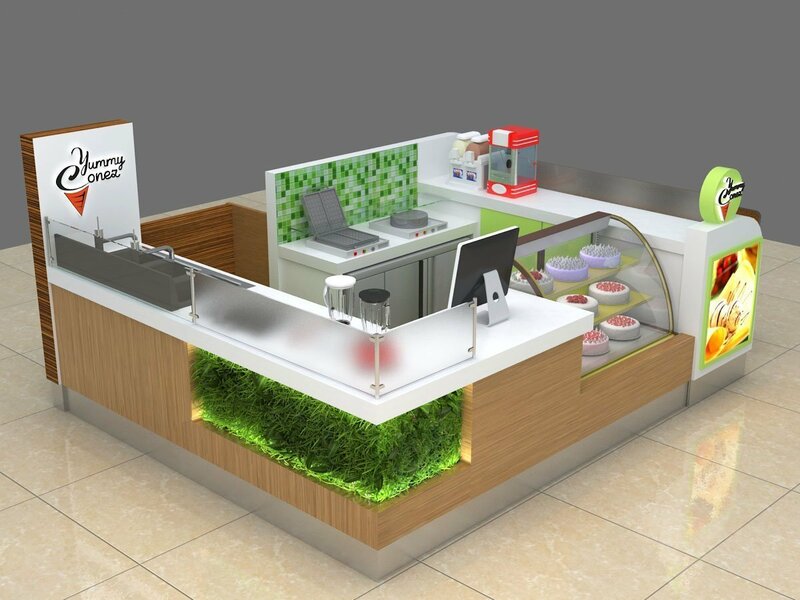 This bubble tea kiosk price is 6900 USD. Since we doing customize kiosk . if the size is different , the price will be change along with it. 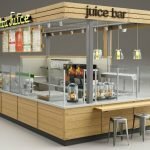 Detailed information about our juice tea kiosk. surface finish material,to protect from fire and assure safety. 2). Countertop:High quality man-made stone countertop ensures good usage experiences. It looks very beautiful, easy to clean, also of good chemical stability. 4). machines or equipment: make a good placement,better with detailed size. as you like. And it is easy to operate, achieve wonderful light effect. illuminated. 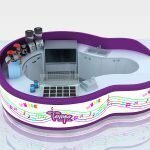 Its color also can be customized. 8). Complete electric circuit:The concerned electric equipment is certificated by CE and UL. like kicking. 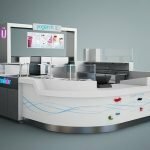 If the kiosk has a roof,we can install spot lights on it. 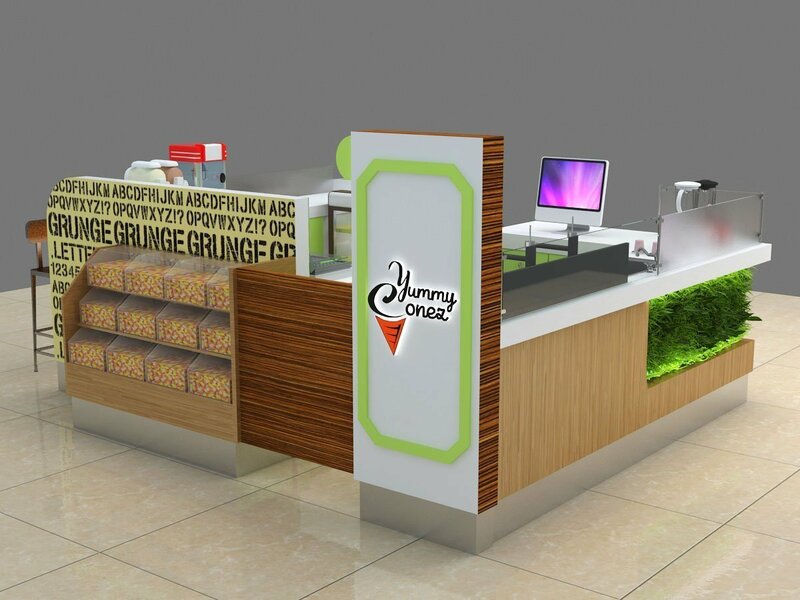 This bubblte kiosk is an integrated, first class quality station with making and displaying Corn in the shopping center. 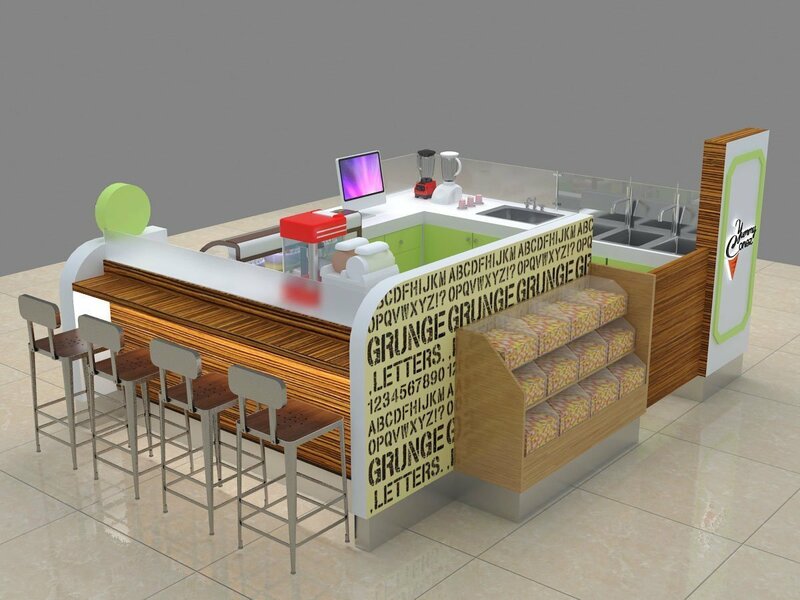 * Integrated food kiosk with working desk, water system, display area, payment counter, advertising, etc.